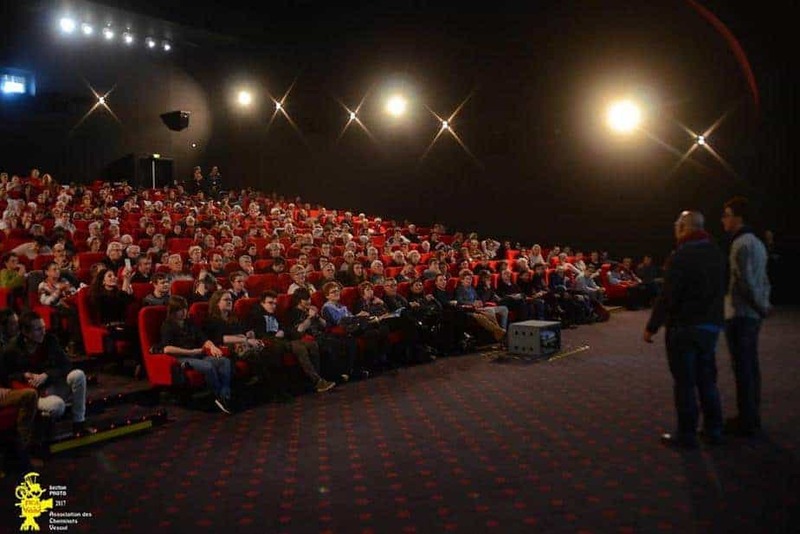 The Vesoul International Film Festival of Asian Cinemas (February 5th to 12th 2019) is at the 25th edition and its rich new programme has just been revealed. Created in 1995, the Vesoul International Film Festival of Asian Cinemas’s purpose is to present & promote the cinema of Asian territories, enhance intrcultural dialog and encourage the discovery of other cultures through cinema. The Festival also promotes its host city of Vesoul, the department of Haute-Saône and the Franche-Comté region. To mention only few of the enthusiastic staff behind FICA, Martine Therouanne is the Festival Director, Jean-Marc Therouanne the General Manager / Communication and Bastian Meiresonne is the Artistic Director. This year the Jury includes Fabien Baumann, Frédérique Schneider and our very own Panagiotis Kotzathanasis. Liu Huanrong works in Changqing oil fields, China’s second-largest onshore oil and gas field located in Inner Mongolia. A devoted employee for over thirty years, he spends his free time building a swing and running after his young female coworker, who recently arrived and has only one thing in mind: fleeing the isolated place to return working in the big city. An unexpected mishap brings Liu back to his family in Xi’An, the 8 million inhabitants capital of Shaanxi Province. He will have a tough time reconnecting with his estranged spouse and adult daughter, but also with a very different capitalist society compared to thirty years earlier. On an isolated road passing through the vast barren plains of Tibet, a truck driver who has accidentally run over a sheep chances upon a young man who is hitching a ride. As they drive and chat, the truck driver notices that his new friend has a silver dagger strapped to his leg. He comes to understand that this man is out to kill someone who wronged him earlier in life. As he drops the hitchhiker off at a fork in the road, little does the truck driver realize that their short time together has changed everything, and that their destinies are inexorably intertwined. At the age of 12, she is afflicted with the burden and insecurities of abandonment, when her father suddenly disappears without any explanation after the divorce of her parents. At age 15, Young-ha is the best daughter she can be, to support her mother, who works hard to support her second husband and the newly recomposed family She also tries to console her cousin and best friend Mi-jin, who is sent away to an uncle after losing her family. At 19, after finishing the college entrance exam, Young-ha spends many hours with her new stepdad since mom is busy working. One day, an unexpected event brings everything down and puts the whole family in grave danger. Chinese film director Yang Shu has been forced to remain in exile in Hong Kong after filming The Mother of One Recluse which offended the Chinese government. When, five years later, her mother in Sichuan has to undergo an important operation, both women try to reconnect. Yang Shu takes the opportunity of a film festival event in Taiwan to go with her husband and son and meet her mother who pretends to be on a mainland company leisure tour. To ensure this family reunion can take place under the strict itinerary of the Chinese tour company, the young family checks into the same hotel and follows the tour group to the various scenic spots they visit. In a conflict ridden Kashmir, a Muslim woman finds herself confronted with the administrative absurdities of her own country. Aasia is a “half-widow”, a spouse whose husband has disappeared but whose death is not ascertained. Having an eleven years old daughter and a sick mother-in-law to take care of, she attempts to get her missing husband’s death certificate from the government; but without any proof, the corrupt government official keep turning down her request, blatantly making demands instead. Aasia will have to find the strength to come out from an unthinkable and absurd situation. Middle-aged Shokoo finds out that ex-husband, Fereydoun, has been placed in a nursing home by their children. She, and second husband Reza, decide to take care of Fereydoun themselves, but in their own home. In doing so, the relationship between Shokoo and Fereydoun is significantly transformed. This new situation affects Reza and Shokoo’s daily life and unexpected changes take place in the lives of all three characters. A young man is found almost unconscious on a river bank. A middle-aged widower Tetsuro shelters the man who tells nothing but his name “Shin-ichi.” Though baffled by the old man’s eagerness who treats Shin-ichi like his own son by providing a place to live and a job, Shin-ichi starts to feel at ease and tries to confess his past. In the meantime, there is a rumor about an incident a little while ago in the town, and people begin to suspect the stranger. Teresa and Celso are an unmarried couple trying to survive their mundane elderly life. On the night of their anniversary, they received a phone call from Teresa’s estranged husband Benedicto who is ill and asking for care. The couple went out of their way to attend to his needs in the remaining days of his life, even seeking for the forgiveness of his son Chito. The film tells of love, companionship, and forgiveness. It is about moving forward by revisiting the past. It poses that on the twilight of our days, how do we really wait for the sun to set? Prin was born in Jarai community in Vietnam’s Central Highlands. She is six years old. In North Myanmar, teen years old Myu Lat Awng lives in a camp for Internally Displaced Persons because of border war. 14 years old Phout lives in kingdom of the million elephants. Deaf and mute, she has a whole different perception of life. 17 years old homeless Pagna dreams of studies and travels. Thookoloa is 21. Without any Thai identity papers, she left her mountains to find work in Bangkok. 34 years old Juliet lives happily with her husband and her four children in the Philippines. A grown-up orphan in Cebu’s trash dump site, she did everything to make her dreams become a reality. She is currently a primary school teacher. All these destinies tie, meet and assemble like pieces of one giant puzzle for one big adventure: Growing up. Career decisions in India aren’t an individual’s choice. Parents, extended families and society at large groom the kids for a predestined career path of engineering or medical science, said the fastest way to start earning good money. They send their children to the hub of coaching institutes, Kota, a city in North-west India. More than 200,000 teenagers in Kota live in cubicle size rooms and study 15 hours a day to prepare for the entrance exam to top colleges with an acceptance rate of less than 1%. The education pressure among students in India is so horrendous that more than 75,000 students had committed suicide between 2007-2016. An Engineered Dream follows the life of four such teenagers in Kota. It shows the life of a family who lives deep in the forest on their own and do farming and cattle breeding for their living. 25 years ago the father of the family had a spinal cord injury due to an accident and is since nursed by his daughter and wife. Zainab, the daughter of the family has many suitors but her parents can in no way see her marry away. It is difficult to get refugee status in Japan. In 2016, the number of recognized as refugees were 28 out of 10,901. Their situation is hopeless. For the past 20 years, Turkish Kurds have been fleeing from prejudice and persecution and coming to the Tokyo area, where they now number about 1,500. Among them is 18-year-old Ozan, who first came to Tokyo as a child. Living in Japan with his family as an ‘illegally alien’ rather than an officially recognized refugee, Ozan has been forced to work illegally, and today he doses demolition work on buildings and homes. This film portrays one summer in Ozan’ s life as he begins work that hopes will fulfill his secret dreams while struggling with a sense of alienation from Japanese society. “Show me your railways station and I will portray your city”. This is the motto of this series which invites the viewers to discover a building and its occupants over a 24 hours visit through the eyes of the curious observer who wants to understand, learn and discover a fascinating site with its hidden treasure. The series is produced by Pronto Prod, and this episode focuses on Vladivostok central station, in the search of the Russian soul, on the extreme East of Russia. An elderly man stuck in a Singapore nursing home decides to break out of the home for a night and return to his bad habits. But a turn of events forces him to reckon with the damage that wanton life he once led, has caused to his now estranged son. After his Sundance award-winning documentary Return to Homs, Talal Derki returned to his homeland where he gained the trust of a radical Islamist family, sharing their daily life for over two years. His camera focuses mainly on the children, providing an extremely rare insight into what it means to grow up with a father whose only dream is to establish an Islamic Caliphate. Osama (13) and his brother Ayman (12) are in the center of the story. They both love and admire their father and obey his words, but while Osama seems to follow the path of Jihad, Ayman wants to go back to school. The film captures the moment when the children have to let go of their youth and are finally turned into Jihadi fighters. No matter how close the war comes—one thing they have already learned: they must not cry. “Once upon a time…there had been such an important dream for an entire high school that we decided to make a movie out of it!.” This dream is the result of teaching film analysis in school, which allows to open up to the world through cinema. For the last ten years, the students of Vesoul’s Belin High School learn how to analyze a movie, join the High School Jury thanks to Martine Thérouanne, spend one whole day at Vesoul’s International Film Festival of Asian Cinemas and attend Cannes Film Festival for three full days. While attending those two festivals, the scholars meet cinema professionals, analyze and review movies, but act also as stars themselves by putting on a dress or a tuxedo and walk the red carpet – for the happy few lucky enough to gather an invitation… The documentary follows the students of class 2016-2017 through their preparation at High School, interviews scholars of past 10 years, shares some funny stories from the teachers and ends at the prestigious Cannes Film Festival! Tears, laughter, grief, happiness, all emotions come together in this 26- minutes documentary about an unique educational experience which touched around 700 pupils in past 10 years.